By now, I’m sure you’ve heard of the low carb diet, or maybe even given it a try at some time in your life. Perhaps you experienced some manner of success with the diet, but have found that any “fad” diet is too hard to stick with. For the most part, this is what happens when people choose fad diets to in order to lose weight. 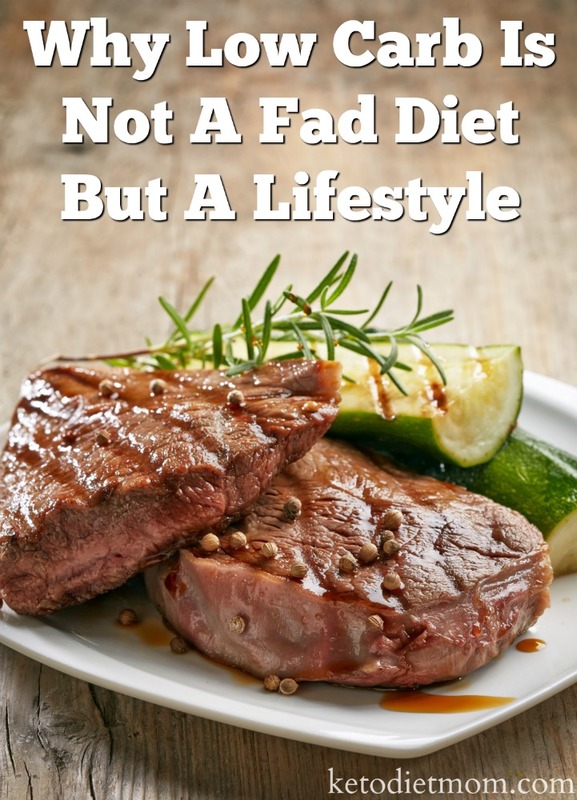 I have a news flash for you – low carb eating is not a “fad,” but instead a lifestyle change. While it can be followed over a brief time period, you will only be scratching the surface of what can be achieved if you actually follow through. Unsure whether you can follow the low carb lifestyle long term? It really can be pretty simple if you let it be, but we’re not saying that it doesn’t require some effort. Fad diets come and go, often pretty quickly, but low carb has been used for many years. Before saturated fat was wrongly demonized, low carb truly was a path to lose weight. Dr. Atkins published his very well known low carb diet book in 1972, which was many years before the low fat dietary recommendations were released. There have been over 20 randomized controlled trials published since 2002 in respected, peer-reviewed journals that show low carb diets to be effective for weight loss and completely safe with absolutely no adverse effects. As you’re probably aware, this same thing can’t be said about many fad diets. 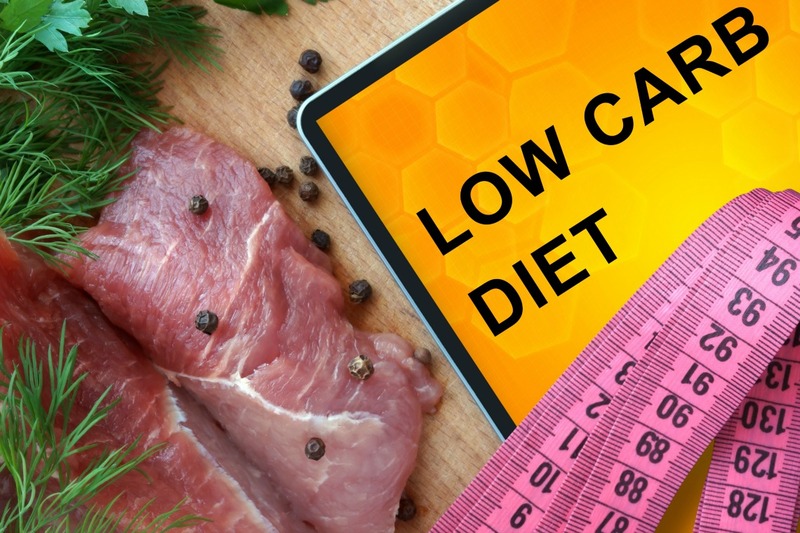 In addition, many studies demonstrate low carb eaters to have stronger results in weight lost as well as heart disease prevention support than the typical low fat plan that’s usually pushed by dieticians. Low carb leads to more weight loss, especially visceral fat. It also helps to improve HDL cholesterol, insulin levels, blood sugar levels, and blood pressure. (Gardner et al; Comparison of the Atkins, Zone, Ornish, and LEARN diets for change in weight and related risk factors among overweight premenopausal women: the A TO Z Weight Loss Study: a randomized trial). Most fad diets are infamous for causing you to feel starved and deprived as you hangrily make your way through the diet to lose a few pounds. Crashes in energy levels and mood fluctuations are more frequent on fad diets too. In a low carb or ketogenic eating style, you should feel satisfied and eat to your satisfaction. Most people who go keto find their appetite is naturally satisfied, because they have stopped gobbling down the carbs that cause erratic blood sugar spikes which cause out of control cravings and binge eating. There is no deprivation involved, and you get you get to eat a beautiful abundance of real whole foods, including steak, chicken, bacon, eggs, butter, non-starchy vegetables, nuts and seafood. This makes a keto diet sustainable in the long term. And the cool thing is that when you attain your weight loss goals, you will be able to start re-introducing some carbohydrates as you continue to monitor your weight over time. This makes eating low carb a true lifestyle plan rather than a temporary bandaid solution. Fad diets put so much pressure on us! Throwing your fad diet by the wayside for even one day could ruin your overall goal. However, when adhering to a low carb or keto lifestyle, it is understood that lapses happen on occasion, and that is totally alright. Making a mistake won’t ruin your metabolism or cause you to gain back weight in the time of one day. In fact, you will probably discover that your cravings for carbs decrease significantly over time, making it far less likely that you will want to cheat. Don’t think of keto or low carb as a stringent diet, but creating a new relationship between your body and the right foods. Another reason keto is a lifestyle and not a fad is that you learn to make healthy eating choices by choosing the right carbs, protein and fats. This new-found ability to make good choices ensures that this becomes lifestyle, not your typical fad diet. At first, you might be nervous that you won’t be able to eat out on a ketogenic diet. I’m here to tell you that eating out low carb style is truly easy once you learn to make the right choices. So you don’t have to worry social life will go down the drain. You can enjoy going out to eat with friends without compromising your weight loss. What better way to stick to your goals than to be able to be free to live. When you start your journey on a fad diet, you will usually see see some weight loss pretty quickly. Then immediately when you stop following the diet, the weight comes right back with some friends. With a low carb lifestyle, there is no “end to the dieto” or “getting off the diet.” It truly is intended for life, so that you can lose the weight and keep it off by making healthy choices and monitoring their effects on your weight. This also means that you will be able to eat more carbs down the road after you’ve attained your goals. However, you will need to continue choosing wisely based on your personal weight loss maintenance needs. As you can see, low carb and ketogenic lifestyles are a far cry from the fad diet phenomenon. For many people, carbs are the main culprit in their obesity. When they significantly reduce their intake of carbs, they find they have more energy, lose weight more easily and are able to keep it off. Keto low carb is a lifestyle that can be successful, motivational and sustainable. Have you had weight loss success with a keto or low carb diet?